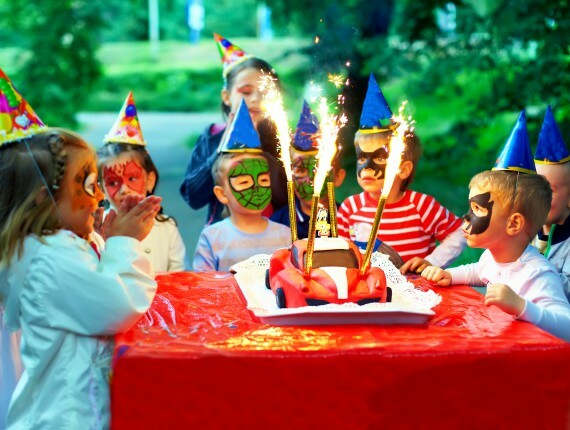 Whether it’s your friend’s 30++ birthday, engagement or housewarming, you want to give something that’s really wanted. You could give yet another lovely candle (same as everyone else) or GroupTogether for one gift she’ll treasure. GroupTogether makes collecting the money from the gang a breeze, even creating a group card with everyone’s pic and messages. The only thing left to do is to go shopping! Why not make a day of it somewhere spesh. We asked those in the know for their tips and thought we’d share. Grab your bestie and away you go. FYI: None of these businesses are affiliated with us. We asked our network for tips and went for a day trip. Hope you like them too. Head up Barrenjoey Road, first stop .. Always on stylists’ lists, Mark Tuckey makes solid timber furniture from recycled timber and sustainably managed forestry sources. Apart from being ethically sound, they’re just beautiful pieces that feel no nonsense, clean + contemporary but still relaxed and earthy. See picky above. No dillying. No dallying. There’s lots more to see and eat. Next stop, the favourite .. Beautifully curated, there’s furniture, accessories, bed linen, light jewellery, lighting (chandeliers and pendant shades) in neutrals from places far and exotic. Perfect for a beachy eclectic feel. You’ll need to group together to fund some of the special pieces but worth it! Enjoy. For kids’ clothes and accoutrements, this charming store hidden away down an alleyway stocks the owners line Mamapapa, along with brands such as Album di Famiglia Store, Atelier Atsuyo et Akiko, Jess Brown Design, Numéro 74, and Muskhane. The clothes are mostly natural fibres and neutral colours, giving them an organic feel. Perfect to create a hamper for a baby shower or just buy a gift voucher and let your friend choose. This is the stuff you’d want to dress didums in if you had your “drathers”. Directly across from MamaPapa is this tiny store selling Moroccan leather poufs, blankets with giant pom poms, Tunisian towels, Uashmama paper bags and exoticly embroidered clutches and other tactile gifts and pretty things. There’s a more comprehensive range on online but for those who like to feel before they buy, here it is. Beechwood Furniture – Avalon. Beachy, Nantucket-esque furny and homewares along with some charmingly quirky bits for kids. 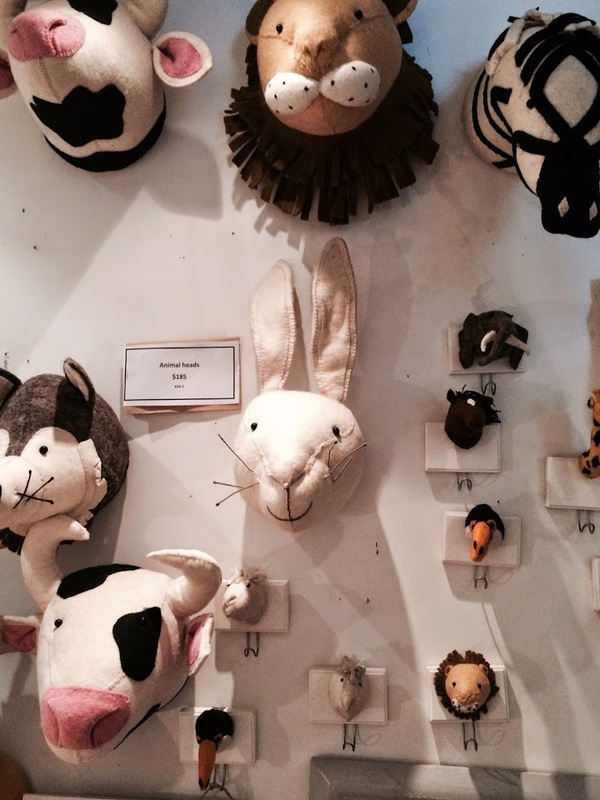 Mad about these felt animal heads which double as hooks. Our kind of taxidermy. Just in, the new range of Samantha Robinson ceramics – the perfect thing to replace the tea set your friend received for her wedding which is now ready for Vinnies. Got more time, hit Mona Vale on the way home. Armchair Collective – Mona Vale: yum food and homewares. Armchair sells one-of-a-kind restored designer armchairs, colourful cushions, custom lamp shades and all things interior. The food is cafe style – gourmet salads and fish n chips and the decor is beachy and bright. 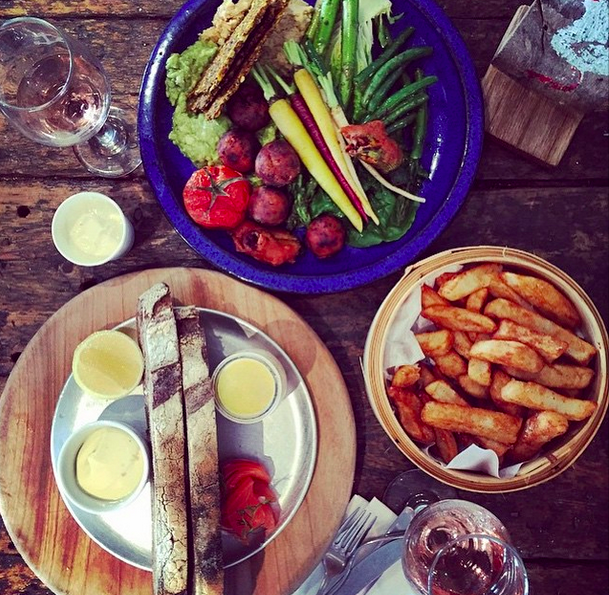 Bronze Kiosk – Mona Vale: on the beach cafe with beautiful food, stylishly presented. Think grilled haloumi, spiced sweet potato & chickpea salad (vegetarian and gluten free). The locals love the coffee too. Little Paper Lane – Mona Vale: charming stationery. Pinko Pinko – Avalon: hip fashion rather than gifts. Labels like Free People, Arnhem, Amuse Society, Camilla. bassike – Avalon: If you don’t have a local Bassike store, visit this one for sure. Expensive but super hip T’s and err..basics. Kristy Lee Interiors – Manly, outdoor and indoor furniture. Butterfly chairs and other rattan, wicker, inlaid stone pieces. Honeybee Homewares – Fairlight: Homewares and fashion, french country. Stocking labels like American Vintage, Virginie Castaway, Lee Mathews, Nell, & St James. Featuring Cottons & Linen, French Fabrics. 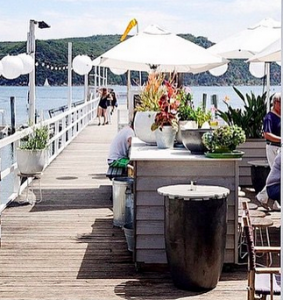 The Boathouse, Palm Beach – Contemp, Sydney food – fresh + chic. Heavenly waterfront. Sister restaurant to equally gorgeous restaurant at Balmoral. Sit with a glass of wine, gaze out to sea and pretend this is your real life. Admire the healthy quinoa, avocado, carrot and labne salad and then order the fish and chips, coffee and cake. Go with someone chubby and feel lean. Yoda, Avalon – South East Asian – delectable, fresh and fragrant. Cheap and cheery, quirky but very knowledgable staff. Awesome food. Closed on Mondays when we visited but it comes highly recommended by locals. The SMH GoodFood Guide scores it 13/20. Mark Tuckey – 303 Barrenjoey Road, Newport Beach, 9997 4222.